The Federal Energy Regulatory Commission — the agency that regulates the grid — gave the demand response industry a key victory on Tuesday, issuing a rule that says that “negawatts” produced by turning down power use can demand the same market prices as real megawatts of generated electricity. The ruling is important because it could open up broader and more lucrative markets for demand response companies, which have developed businesses around helping building owners turn down energy use, as long as demand response providers can deliver their negawatts at competitive prices. Next comes the complicated task of making the nation’s power markets meet the rule. FERC’s order (PDF) will require wholesale energy operators to pay demand response resources the market price for energy, known as the “locational marginal price,” or LMP, as long as they can balance supply and demand as well as a generation resource. The rule applies to the Regional Transmission Operators (RTOs) and Independent System Operators (ISOs) that manage about two-thirds of the nation’s grid. It’s early yet, but you can expect a slew of announcements today from big demand response providers like EnerNOC (s ENOC), Comverge (s COMV) and Constellation Energy praising FERC’s decision. Right now most of the demand response capacity in the country is managed in a piecemeal fashion, with many different prices paid for participation in different programs, most of them separated from the markets where energy is traded. Even when demand response is permitted to participate in these more lucrative energy markets, it tends to receive less money per “negawatt” than does generated energy — usually by subtracting some portion of the power reduction’s retail price if the customer had used it. Power generators have supported these arrangements, arguing that giving full market price of negawatts constitutes double dipping — not only are utility customers saving money on power bills, they’re also getting to earn money by bidding that energy savings into the market. But FERC’s order calls for a wholesale change to all these programs, by requiring all RTOs and ISOs to set up new tests to determine when demand response will be cheaper than generation to accomplish the same grid-balancing tasks. It won’t happen right away. RTOs and ISOs have until July 22, 2011 to file compliance statements that set tariffs and threshholds for the new rule, FERC stated Tuesday. By September 21, 2012, the RTOs and ISOs will be required to submit results of studies that demonstrate “the requirements for and effects of directly determining the cost-effective dispatch of demand response resources in both the day-ahead and real-time energy markets,” FERC’s order states. That makes sense, given the complications involved in adding a whole new class of participant to the confusing array of programs that buy and sell energy to balance grid frequency and voltage, supply emergency peak power and perform other functions. But FERC has long held that these kinds of market changes will be needed to help demand response realize its full potential. FERC Chairman Jon Wellinghoff has called it the “killer app” of the smart grid. Indeed, in a recent dispute over demand response market rules between Mid-Atlantic grid operator PJM and demand response providers including EnerNOC, FERC ruled in demand response’s favor — an indication of where the commission’s sympathies lie. Image courtesy of Matti.Frisk via Creative Commons license. This is a good summary of FERC’s Order No. 745. 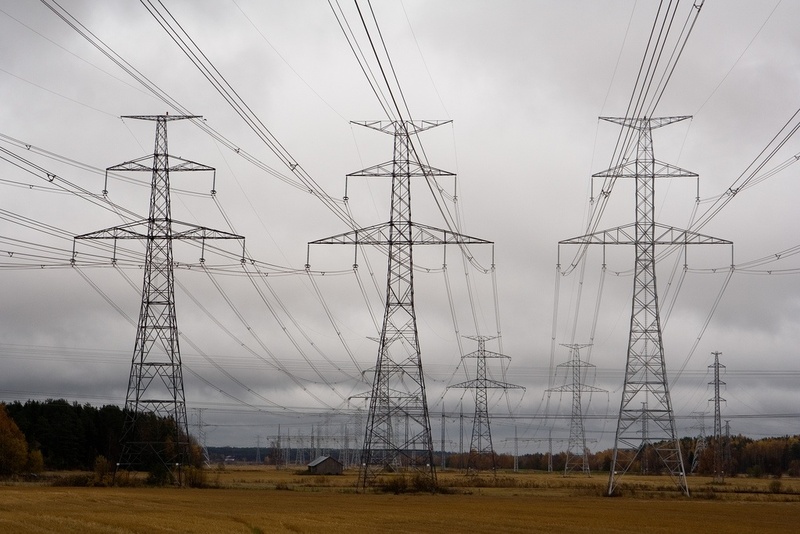 The value of demand response is clear, but until Tuesday’s FERC ruling, how people should be compensated for demand response was up in the air. Each of the nation’s organized wholesale markets has been compensating demand response resources differently. Some markets, like the Midwest ISO and California ISO, paid the same wholesale energy price to demand resources for their negawatt-hours as generators received for their megawatt-hours. Other markets, like mid-Atlantic grid operator PJM, paid demand resources a reduced price for their negawatt-hours. In Order No. 745, FERC found that this lack of uniformity of compensation across the nation’s energy markets created barriers to reaching demand response’s full potential. FERC also found that other barriers to demand response existed under the status quo, including a disconnection between the wholesale and retail rates for energy. By establishing a nation-wide policy that — as long as they are cost-effective and capable of displacing the need for generation — demand resources should be paid just like generators in organized wholesale markets, FERC hopes to eliminate these barriers. So what does this mean? In the wake of Order No. 745, we are likely to see greater use of demand response as a tool to save energy and lower its cost. A number of businesses already help consumers participate in demand response, providing the technologies and strategies needed to make consumer participation a success. Through the elimination of uncertainty and the establishment of a clear and fair compensation standard, these companies may see their businesses grow. End-use consumers will also see a benefit, whether or not they participate in demand response. Those consumers who do enroll in demand response programs will now know that they will be compensated fairly for their negawatts, a strong incentive to help the grid by curtailing their load during peak demand. Even for those consumers who don’t directly participate, greater implementation of demand response will lower everyone’s electricity costs by displacing expensive marginal peaking generation. This FERC order, following on the wake of FERC’s declaratory ruling in the PJM case, suggests DR is poised to grow yet again.